Don’t look now, but the Oregon Ducks men’s basketball team is 17-7 (7-4 Pac-12) and currently in third place in the Pac-12 standings. Wait, what? Did you just read that correctly? Yes. As a matter of fact you did. Coming into the season, many critics believed that the Ducks’ inexperience would hinder their chances of playing competitive basketball. But head coach Dana Altman has kept his team together, and these young Ducks have undoubtedly exceeded low expectations. Oregon’s 95-72 triumph over Ernie Kent and the Washington State Cougars yesterday evening was a perfect example of the growth that Altman’s team has shown this year. In the Ducks’ first road trip to Washington nearly a month ago, they surrendered 108 points to a Washington State team that only scores about 70 points per game on average. Altman wasn’t very pleased with the Ducks’ performance that night and he challenged his team to work harder on its defensive principles. While the Ducks don’t necessarily possess a lockdown defense, they made sure to give a better effort in their second matchup against the Cougars, and the results were positive. Oregon’s defense forced 12 turnovers and Washington State only connected on 37% of its shots. The Ducks’ communication and athleticism on the defensive end allowed them to score 23 fast break points; Altman is hopeful that the Ducks can be a solid defensive team. “I was really pleased with our activity in the first half, the guys really flew around. I thought it was a step in the right direction. It’s the consistency we are looking for,” Altman said Sunday night after the game. Bringing the consistency each and every night is something these young Ducks have struggled with, but work ethic and togetherness are two things that have kept this team above water. The Ducks will pack their bags and travel to California this week as they prepare to take on the USC Trojans and the UCLA Bruins in Los Angeles. 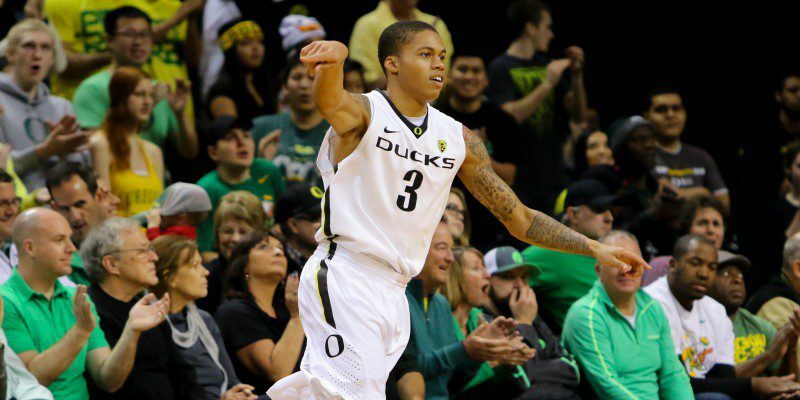 With seven games left on the schedule, Oregon will look to solidify itself in the Pac-12.